As your parents age, they are likely to need extra help with managing day-to-day living, especially in the financial arena. When lapsed household bill payments become the new norm, it’s time to step in and take charge of their finances. What is the best way to raise the topic? Adult children in their 40s with parents who are in their 70s should begin a conversation about financial matters, estate planning and long-term care including home care. The optimum time to discuss these critical matters is before a crisis hits, when family participants are not pressured into making hasty decisions. When is the ideal time to step in? Aging parents’ actions or inactions are warning signals of financial troubles. If elderly parents begin to make risky financial decisions, like making large and unusual purchases, or fail to pay bills, adult children need to take notice. When creditors start to call, it’s time to take the parents’ financial reins. How do you convince a parent help is needed? Keep discussions about financial matters upbeat and ensure parents do not feel singled out. Bring in a financial planner or family lawyer to help persuade the parents. Oftentimes, senior parents will positively respond to professional, third-party viewpoints, especially concerning money matters. Has the parent appointed a durable power of attorney? Ease money management transitions from parents to adult children by ensuring mom and dad have named a durable power of attorney (POA). A durable POA gives the advocate the legal authority to manage the financial affairs of the principals when they become incapacitated—without wasting time and money in court. When an adult child has a durable POA, she operates on behalf of the parents to pay their bills, write checks for them, manage their investments and handle similar financial matters for them. The adult child assumes the role of the parents’ advocate and makes financial choices for them. The best time for aging parents to name a durable POA is now, when they are competent enough to make important decisions. One type of durable POA includes a provision that stipulates the POA takes effect when the parent undergoes a shift, like a disability or cognitive decline. What financial documents do you need access to? Financial documents like these will give involved family members an accurate picture of their parents’ monthly expenses and overall financial health. If parents have multiple financial accounts, experts advise consolidating them to make it easier for adult children to manage. A benefit of having information about recurrent bills is that the adult children know how the bills are paid. If expenses are deducted automatically from the parents’ checking account, the transactions are readily viewable and thereby can be easily maintained in the future. When do you take over finances? Start paying Mom’s and Dad’s recurrent bills. If the parents are ill, keeping up with the bills ensures any missed payments that resulted from being overwhelmed by sickness are paid. Before paying bills yourself, ensure parents can reimburse family members later. Before ailments strike, adult children should ask their aging parents to request that their financial institutions send copies of their statements to them. Monitoring the constant flow of monthly activity can save the family from unexpected issues down the road. How important is keeping track of finances? Documenting all money management activities is important. Retain receipts, statements, written checks and any cash payments used to pay parents’ bills. Keep notes of discussions with financial planners. Efforts to document financial transactions show concerned family members you are handling the matters responsibly. Do the parents have wills? Three types of wills are necessary for an aging parent: a will, a living will and a healthcare proxy. Aging parents who have these three wills in place help their adult children more easily manage their finances when situations demand it. A will stipulates how the parents’ assets will be distributed. A living will documents the healthcare wishes of the parents in the event they become too ill to make decisions about medical care. A healthcare proxy names a person who will make healthcare decisions (not mentioned in the living will) for incapacitated parents. Is hiring financial planners necessary? Parents might live with a debilitating condition, like dementia, for years, possibly even outliving their savings. Avoid financial mistakes by developing a team of financial advisors, featuring tax preparers, lawyers and financial planners. Financial experts can help adult children update their parents’ investment accounts. Wisely managing investments takes professional skill, and making brash decisions about mom’s and dad’s stocks, bonds and brokerage accounts could weigh negatively with other beneficiaries of the parents’ estate. An integral part of taking over your aging parents’ finances is making decisions about long-term care and how to finance it. When looking for in-home care, turn to Assisting Hands Home Care. As a reputable home care provider, the agency offers a wide range of compassionate elder care services. Skilled caregivers from Assisting Hands Home Care provide comprehensive non-medical elder care, from assistance with the activities of daily living, like grooming, bathing, toileting and dressing, to help with transportation, fall prevention and meal preparation. Whether an aging loved one requires 24-hour care, respite care or live-in care, Assisting Hands Home Care will customize a care plan for your family. A meeting with our representatives starts the home caregiving process. 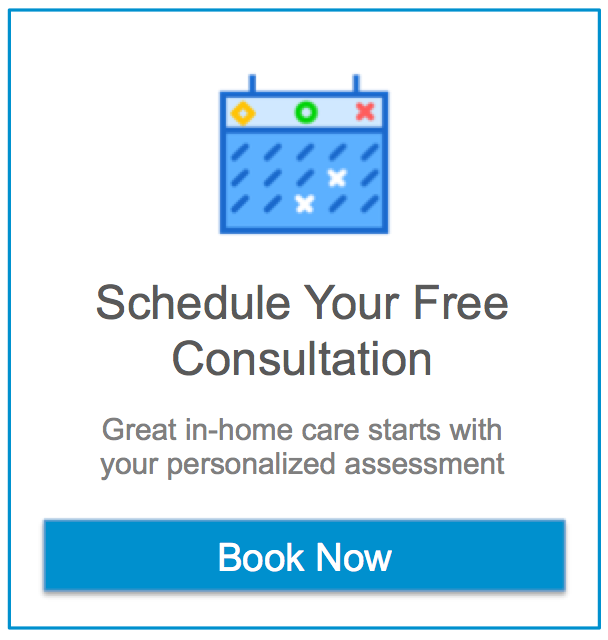 Assisting Hands Home Care is a licensed, bonded and insured home care agency that is experienced in serving the elder populations and their families in Miami Beach, Florida and surrounding areas in Northern Miami-Dade County. Turn to Assisting Hands Home Care for all your senior care needs. Previous post Designing the Home of a Loved One with Memory Loss Next post What are the 7 ADLs?